The Tigers tanked hard last year and overcame long odds to become the worst team in baseball in 2017. They did that just for you, Tigers fans, so you could have some much-deserved excitement in 2018 as they finally, for the first time since 1997, have the first overall pick in the upcoming MLB amateur draft. So who should they pick at that Number One Slot? Who will they pick? There are lots of names on the board, and lots of buzz, but it helps to know what kind of talent is out there before we form our wildly over-confident opinions on what exactly should happen on June 4. To help us sort it all out, HookSlide is joined by Brian Sakowski of Perfect Game USA, in this, our fifth annual pre-draft podcast. It's become a tradition every year since 2014 to have Brian on the show and share his insights into some of these otherwise unknown players, what they're projected to become, and where the Tigers will find the most value. Brian shares his thoughts on Casey Mize (widely believed to be the front-runner for the Tigers' first pick), as well as Joey Bart, Jarred Kelenic, Nick Madrigal, and players the Tigers would be wise to target in the second and third rounds. But wait! There's more! Brian and HookSlide also discuss the current state of Tigers prospects, how a scout would grade current Tigers players, and whether the arrival of Shohei Ohtani on the MLB scene means that more teams will be targeting two-way players in the future. All of that, plus listener questions, and you've got yourself a show that you won't want to miss! - Is Casey Mize really worth taking as the first overall pick? 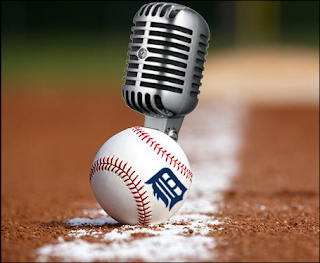 - Should the Tigers draft more hard-throwing pitchers, or try to get position players? - Is Reynaldo River just Stephen Moya in a different uniform?